Will there be any surprises left when E3 2018 finally hits later this month? Yesterday, we got perhaps our biggest leak yet, when Assassin’s Creed Odyssey was revealed…via a keychain. The telltale keychain, originally posted by French gaming site Jeux Video Live, was shaped like a Greek hoplite helmet and its packaging featured the Assassin’s Creed Odyssey logo. 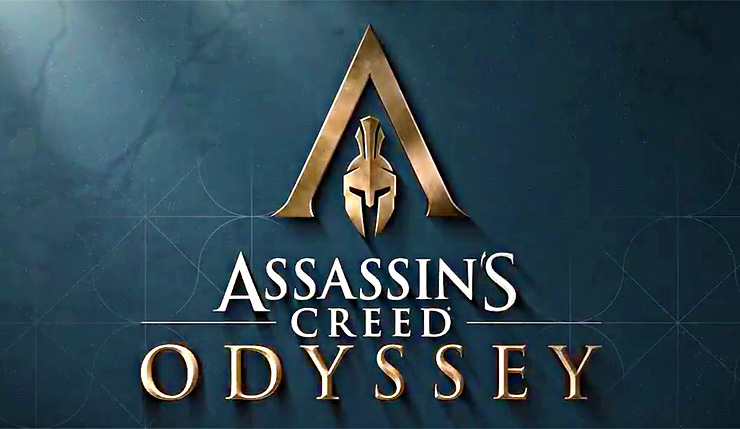 Well, with the cat out of the bag, it seems Ubisoft has decided to just go ahead and confirm Assassin’s Creed Odyssey. Check out the announcement tweet, which includes a tantalizing snippet footage, below. It’s hard to glean that much from two seconds of footage, but we can confirm the Greek setting (the rocky hills and mountains in the background definitely look very Greek). Also, the one guy booting the other feels like an intentional reference to the infamous “This is Sparta!” scene from the movie 300. Could players be taking on the role of the Spartans in Assassin’s Creed Odyssey? It’s somewhat surprising to see Ubisoft embarking on another Assassin’s Creed already (Origins really benefitted from its extra development time), but I’ll admit, I’m excited to see the series tackle Ancient Greece. The Greeks certainly engaged in their share of politics, intrigue, and backstabbing. Ubisoft’s E3 2018 press conference is scheduled for June 11 at 1pm PT – expect to see a lot more of Assassin’s Creed Odyssey, then!